Woman: I post my mood changes to Facebook many times a day. 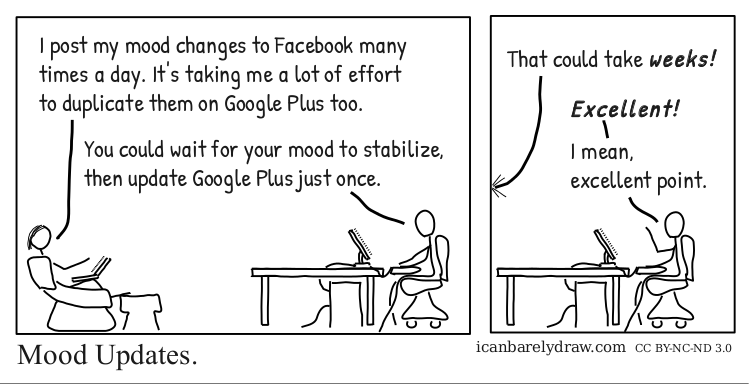 It's taking me a lot of effort to duplicate them on Google Plus too. Man: You could wait for your mood to stabilize, then update Google Plus just once. Woman: That could take weeks! Man: I mean, excellent point.